The Mitsubishi Electric RapidHeat Floor Console Series ensures the perfect room temperature is reached faster with new Rapid Heating Technology. 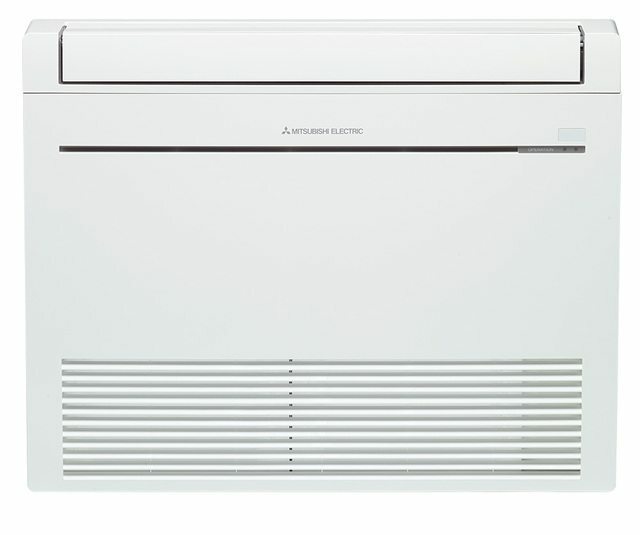 Automatically activated at start up, Rapid Heating releases warm air which is blown in a downward direction. The air is then returned into the indoor unit where it is heated a second time before it is released again, reducing the time it takes to heat your room. In fact, Rapid Heating can take your room to the desired temperature at twice the speed of our previous floor console models, ensuring you always enjoy superior warmth and comfort.